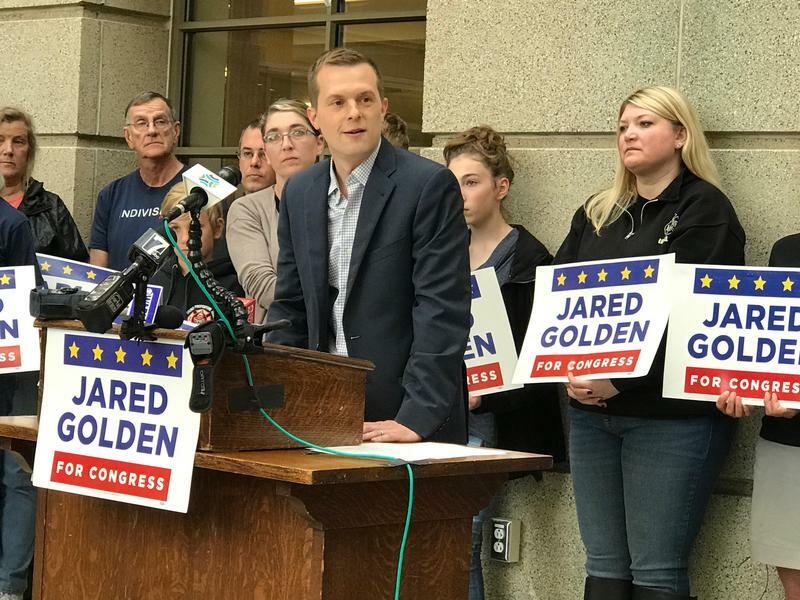 Democrats from across the state's 2nd Congressional District gathered in Bangor this Thursday to show united support for state Rep. Jared Golden. The Lewiston Democrat was declared the district's primary winner under Maine's ranked-choice voting system with 54 percent of the vote, and he will face the two-term Republican incumbent Congressman Bruce Poliquin. Golden said Poliquin's opposition to Medicaid expansion and his reluctance to engage in public discussions on issues of concern to voters should be a sign that it's time for a change. 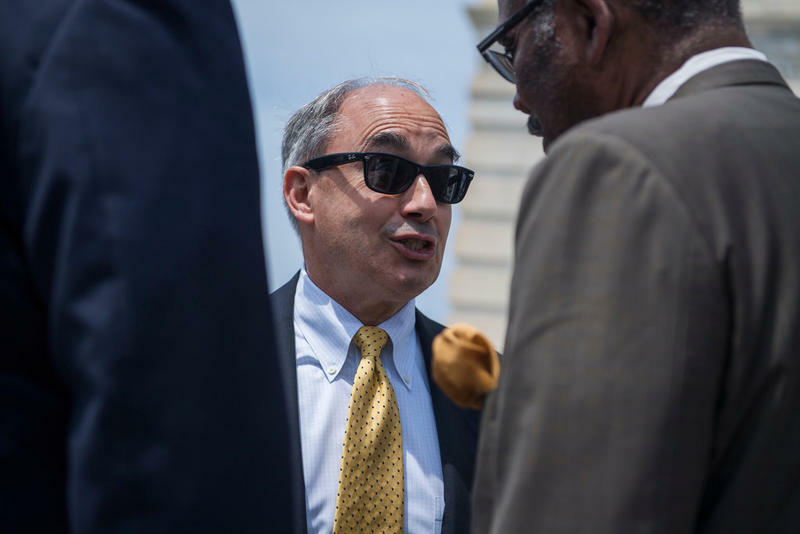 Second District Congressperson Bruce Poliquin is warning Veterans Administration Officials and their contractors that they need to fix their electronic medical records system and be held accountable. Republican Maine Congressperson Bruce Poliquin says immigrant children should "stay with their parents." Weighing into the ongoing controversy about the Trump administration's zero-tolerance policy of immigrants crossing the border, Poliquin made the impromptu comments when confronted by a Maine woman, identified as Marcella Makinen, at an airport. As Poliquin tried to walk away, she recorded the exchange on video which was then shared on Facebook Tuesday by the advocacy group Mainers for Accountable Leadership. PORTLAND, Maine - A Maine congressman says he plans to go forward with a proposal to include frozen and canned foods in the Fresh Fruit and Vegetable Program despite criticism from the program's founder. The proposal by Republican U.S. Rep. Bruce Poliquin is part of the federal Farm Bill that's wending its way through approvals. 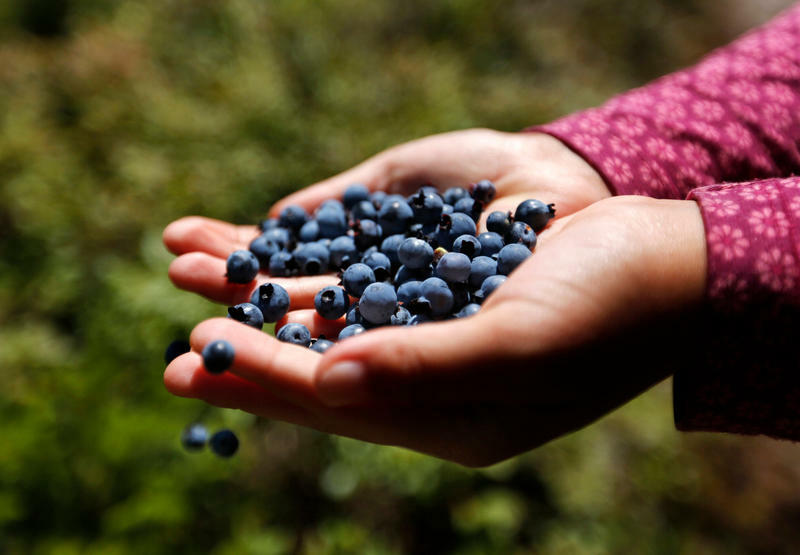 Poliquin cites Maine blueberries as an example of a frozen food that could help the program. The proposal also opens it up to dried and pureed foods. 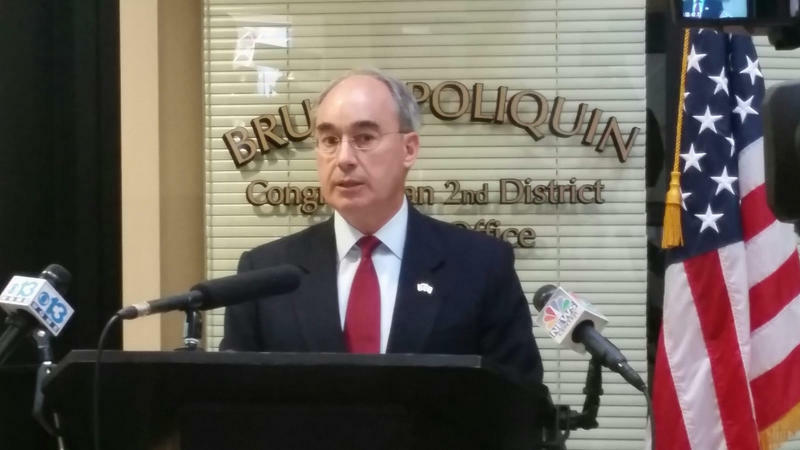 AUGUSTA, Maine - Republican U.S. Rep. Bruce Poliquin of Maine reports more than $2.2 million in his campaign war chest as Democratic opponents make their case to donors ahead of the June 12 primary. Democrats, including Assistant Maine House Leader Jared Golden; conservationist Lucas St. Clair; farmer and carpenter Jonathan Fulford; and bookseller Craig Olson recently filed campaign finance reports as they compete to face the congressman in November. Republican U.S. Rep. Bruce Poliquin of Maine’s 2nd District has raised more than $2 million for his re-election campaign, well outpacing his opponents. Reports filed with the Federal Elections Commission indicate that Poliquin, the sole Republican in the race, has raised nearly $2.2 million. Maine 2nd District Congressman Bruce Poliquin told a private gathering that he avoids speaking to reporters because he’s afraid doing so could cost him at the ballot box. In the secretly recorded audio recording obtained by the Maine People’s Alliance, Poliquin told backers of the Maine Heritage Policy Center he’s using this media strategy because his seat is one of two dozen swing seats in Congress. 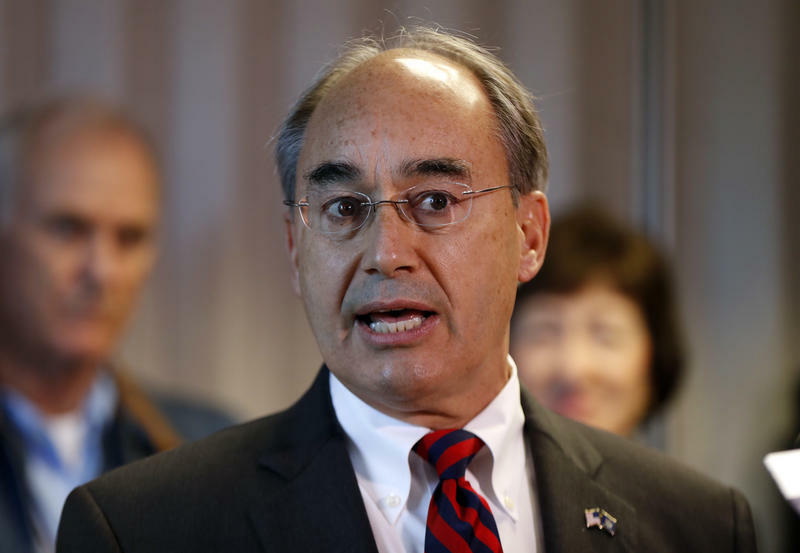 “It would be stupid for me to engage the national media to give them, and everybody else, the ammunition they need and we would lose this seat, but I get it,” said Poliquin. BANGOR, Maine - New business could be touching down soon at Old Town Municipal Airport. But to make that happen, community leaders are asking Republican 2nd District Rep. Bruce Poliquin to strip off some deed restrictions from 15 acres of former federal property that was acquired by the facility 30 years ago. Poliquin says he plans on submitting legislation immediately to assist the airport. Republican Rep. Bruce Poliquin of Maine says he opposes the GOP proposal to gut the independent Office of Congressional Ethics. Poliquin, who represents Maine's 2nd District, said Tuesday that the Office of Congressional Ethics needs reforms that both parties agree upon, and that any changes should be approached in a bipartisan manner. BANGOR, Maine - Democratic 2nd Congressional District candidate Emily Cain said today that Republican Rep. Bruce Poliquin let firefighters down when he refused to co-sponsor a healthcare bill for 9/11 first responders. Poliquin says that he voted for the legislation last December. But during a Bangor press event, John Martell, president of the Professional Firefighters of Maine and a Cain supporter, said that doesn't matter. BANGOR, Maine - Hillary Clinton's campaign is boosting efforts in several battleground states, including Maine, where at least one poll shows voter preference tightening in the 2nd Congressional District. Clinton's coordinated campaign has earmarked $6 million to help down-ballot candidates, including those in the two states that are allowed to split their electoral votes. OAKLAND, Maine - Democratic congressional candidate Emily Cain has gained on U.S. Rep. Bruce Poliquin in recent months in the 2nd Congressional District fundraising race. The Morning Sentinel reports that Cain is less than $300,000 behind Poliquin in terms of the total money raised during the current election cycle. Poliquin has raised just over $3 million while Cain has raised $2.7 million. 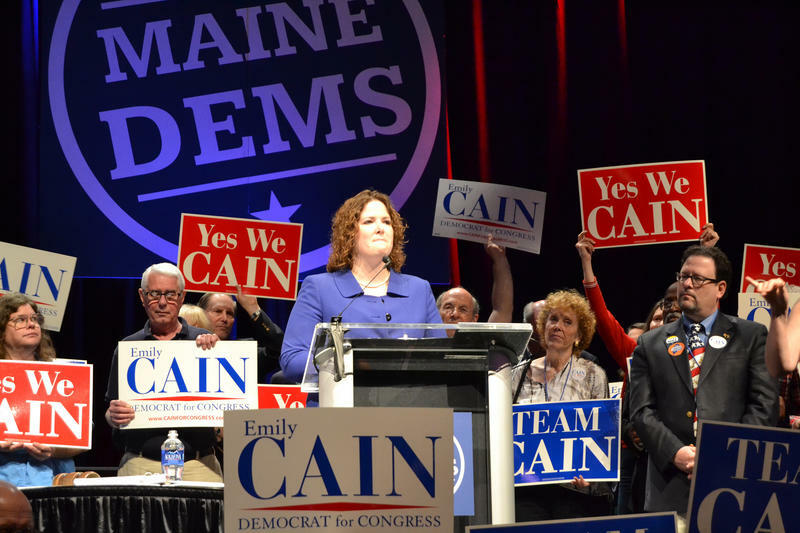 Cain raised $1.1 million in the third quarter while Poliquin raised about $500,000. AUGUSTA, Maine - The Maine Republican Party has unearthed a video from Democrat Emily Cain’s primary campaign in 2014, and they are using it to attack her current campaign for the 2nd District congressional seat now held by Republican incumbent Bruce Poliquin. In 2011 Emily Cain was in legislative leadership when the state budget was adopted, providing the largest income tax cut in state history. Cain is touting that in her campaign. U.S. Rep. Bruce Poliquin of Maine’s 2nd District is under fire following a report that shows he’s been late paying his property taxes 31 times over the past decade. The findings challenge Poliquin’s image as an evangelist for fiscal discipline as he launches the first television ad of his re-election campaign. 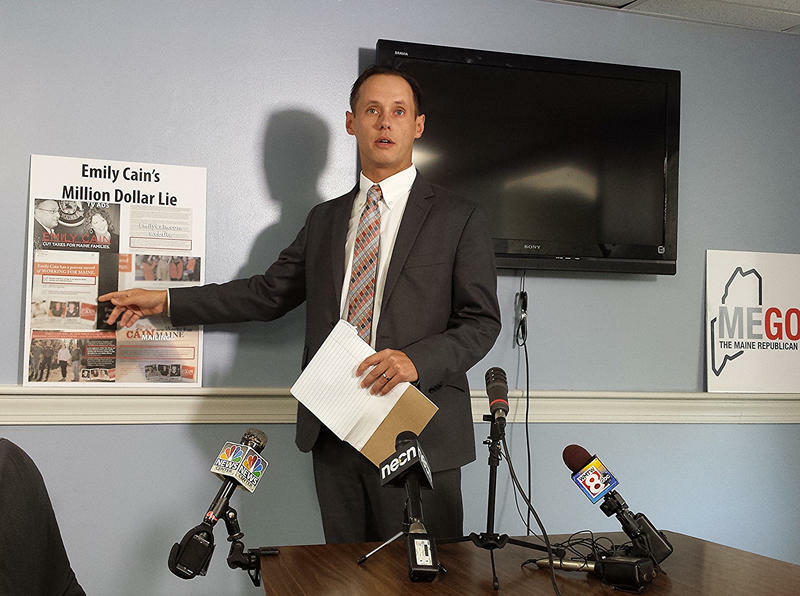 Former state Sen. Emily Cain raised more money than incumbent U.S. Rep. Bruce Poliquin during the last fundraising period. But the Democratic challenger still lags Poliquin, a Republican, in cash on hand and total donations.